The past two years of my life have been filled with grief. Loss of a marriage, loss of churches, loss of a parent, loss of a child, loss of professional status. It has been exhausting. There have been more days than I can count when I just wanted to be done. But I have a loving husband and a thoughtful counselor and encouraging friends and family and when the done days strike, these people have helped me see the value in pushing forward. They have helped me see the value in embracing the grief. Part of embracing grief for me has been writing about it. Writing about the various losses that I’ve experienced has allowed me to observe them almost as an outsider, rather than the one who going through it. In some ways that can be negative, because it can keep me from truly immersing myself in the grief, but the positive side is that it has also allowed me to see the places where I experienced healthy grief and unhealthy grief. From those experiences, I wanted to write something a bit more than just a 700 word blog post here and there to offer encouragement to people in the midst of grief, for those who never fully experienced their grief, and for those who want to offer comfort and compassion to those who are mourning. So I’ve been slowly working on a book that will be available this December called Embracing Grief: Leaning Into Loss to Find Life. I’m really proud of the work that I’ve done so far, and I look forward to sharing the finished product with you. In the meantime, I’d like to share some updates with you as well. I will be posting excerpts from the book in my newsletter. It will be a once a week glimpse at some of what will be coming in December. If you are interested in learning more about this project, you can sign up here. If you know someone who might need to read it, please share the link with them. We cannot escape grief – if we live, we have loss. But I am finding that when I lean into grief and allow myself to really feel it, I come away with a richer, fuller life. For your free excerpts from the book, sign up for the newsletter. Thank you for your support! 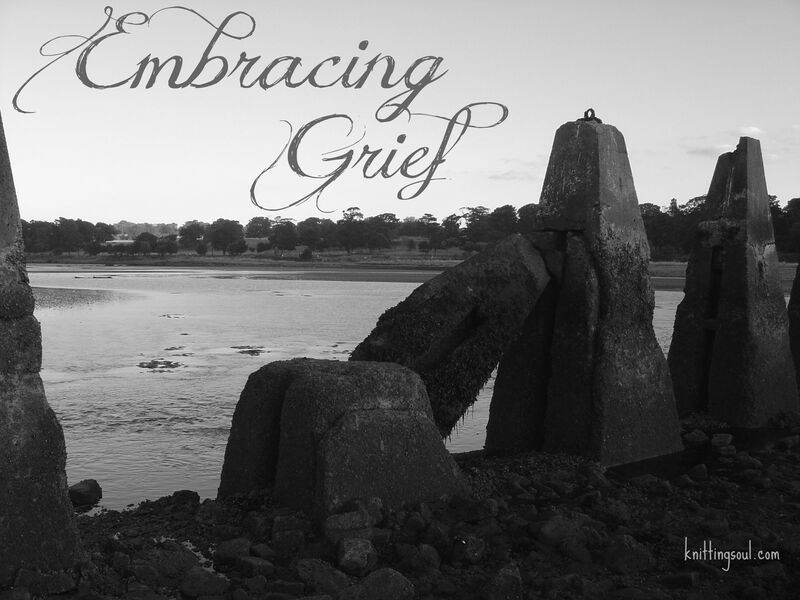 This entry was posted in Embracing Grief, Writing and tagged book, Embracing Grief, grief, independent publishing. Bookmark the permalink. This is encouraging & inspiring. I’m eager to read it & find a similar voice & experience & hope & courage. Love you sis. Thank you, friend. There has been a lot that hurt the last few years, but there has been a lot of good as well. I know you know about that.